The thin plastic grocery bag is a single- use plastic causing environmental havoc around the globe. Plastic bags were first introduced in 1977 and by 2017 three billion were used in Canada, along with the oil consumed in their manufacture and transport. Each bag is used for less than 20 minutes and less than 10 per cent are recycled. Landfills create low-oxygen environments in which waste decays very slowly. Therefore, plastic bags in landfills take hundreds of years or more to break down and the tiny particles of degraded plastic can contaminate air, soil and water. When exposed to the elements, solar radiation transforms plastic bags into microplastics more quickly and powerful greenhouse gases such as methane, dioxin and ethylene can be released. While the numbers vary a little depending on the source, the overall message is clear that the quantity and mishandling of thin plastic bags is creating serious damage to every environment. Bags are floating or suspended in rivers and oceans, filling the stomachs of animals or entangling them, littering the ground and dangling from fences and trees. So, assuming humans around the globe need some kind of a sac to carry stuff in, what is the best choice of a carry bag from today’s alternatives, which are paper, cotton or polypropylene (PP) fibre? An Australian study compared many stages of the “life cycle” of several types of carry bags to determine their environmental impact. Often termed “cradle to grave,” the study examined many factors, such as production/shipping, re-use per year, life span and the end point as both litter and waste. The PP fibre bag came out having the lowest environmental impact due to the fact that, even though it is formed using oil, it can be reused so many times. On the other hand, paper bags and cotton/canvas bags, even though formed from renewable resources, use the most energy in production and shipping. Cotton bags use additional energy when washed and dried, plus cotton plantations (non-organic) use 10 per cent of the world’s pesticides and 25 per cent of the world’s insecticides. A 160-page report commissioned for Recyc-Quebec compared footprints of eight bags: three types of thin plastic, two types of paper, two types of PP reusable and one cotton. The study looked at four impact criteria: human health, ecosystem health, use of fossil fuels, abandonment in the environment, at each life cycle stage: production, distribution, end of life. The lowest footprint overall was again the PP reusable bag, and more specifically, the non-woven type made from PCR-PET (post-consumer recycled polyethylene terephthalate), one of the easiest plastics to recycle. To manufacture PE non-woven bags, the fibres are glued together into sheets, rather than individually woven, which consumes more energy. Studies vary, but if a PP/PE bag is reused over 15 times and up to 110 times, then its footprint is lower than any other type of carry bag. There are many factors to consider when choosing the lowest footprint PP/PE bag, including the non-renewable oil, inks and dyes used in production, the release of microfibres during washing/drying, including the energy used to clean, the release of toxic byproducts, and the potential end-of-life recycling options. Even though some studies support the fact that single-use plastic bags can be reused as garbage bag liners, isn’t the goal to reduce garbage, shop wisely, recycle/compost responsibly, and aim for substantially less garbage? Perhaps the best summation comes from a recent article in Verge: “What environmental impacts am I most interested in mitigating?” Reducing my use of a non-renewable resource such as oil? Or micro-plastics and gases released from plastic? Or litter? Overall, if you reuse your bags many times, that is best for the environment. So, keep your PP bags by the door or in your car. And if you forget to bring them into the store, when you are asked, “Do you need a bag?,” just say no thanks! … even if it means retrieving your bag from the car, asking for a paper bag instead or even doing without a bag. If you are still using single-use plastic carryout bags, beware of ones labelled degradable, oxo-degradable, oxo-fragmentable or oxo-biodegradable. These bags are typically conventional plastic with metal salts added to cause them to break down faster than normal plastic. They still take years to fully degrade and, in the meantime, the resulting fragments of plastic, which remain in the environment, can be more harmful as the fragments can more readily be transported by wind, precipitation or flowing water onto soil or into marine habitats, where they can endanger more and smaller animals than would a single plastic bag. They also cannot be recycled because the metal salts contaminate the recycling stream. Degradable bags can usually be identified as plastic by small print in the corner of the bag and are also used as produce bags. 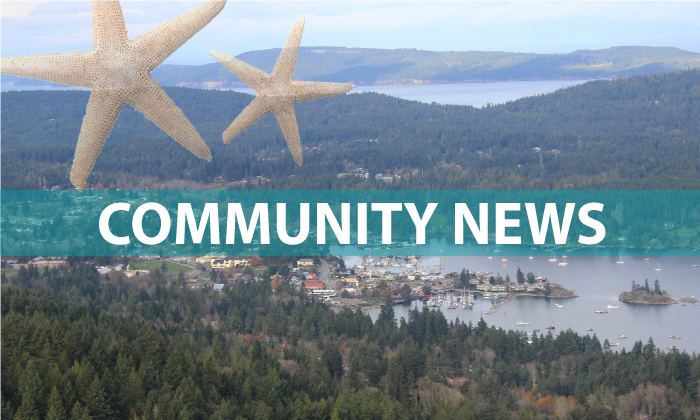 In Canada, Montreal, Victoria and some smaller municipalities have banned thin plastic carryout bags, but they are still being used in other places in Canada, including Salt Spring Island. Isn’t it time that the use of these bags be discontinued in our community as well? The writer is a member of the SUPER (Single Use Plastic Elimination and Recycle) group, which has a page on Facebook.